Great choice! I am sure the recipients of those were thrilled! Thanks, Alyssa! This cookie swap was a fun one, wasn't it? Love the look of your gingerbread biscotti. I loved these, prolly my faves, but I do have a thing for ginger cookies, they were perfection and they are all over my blog ;) Thanks! Great minds think alike, Hannah! I also did a molasses cookie for the cookie swap. So good! Yay for molasses cookies, Christie! I'm popping over to check yours out - molasses are my favorite and I can't wait to see your recipe. This was a fun swap to join in! 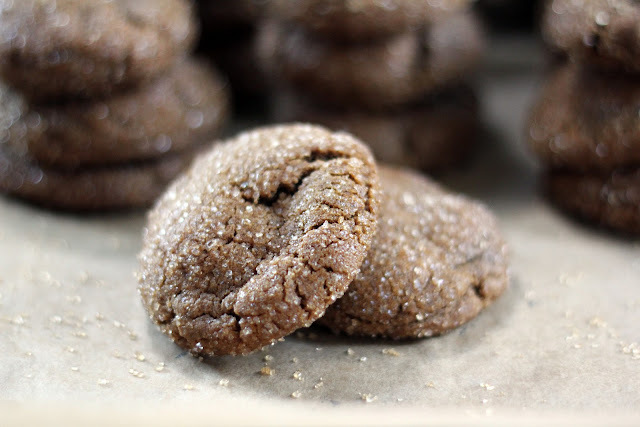 I love molasses in cookies! And molasses in oatmeal. And in peanut butter sandwiches... Highly underrated sweetener in my opinion! I signed up for the swap next year! Mmm, molasses in oatmeal - now why haven't I thought of that before? I'm going to make some this morning. Totally agree, it's a lovely sweetener. I'm so happy you signed up for the swap! 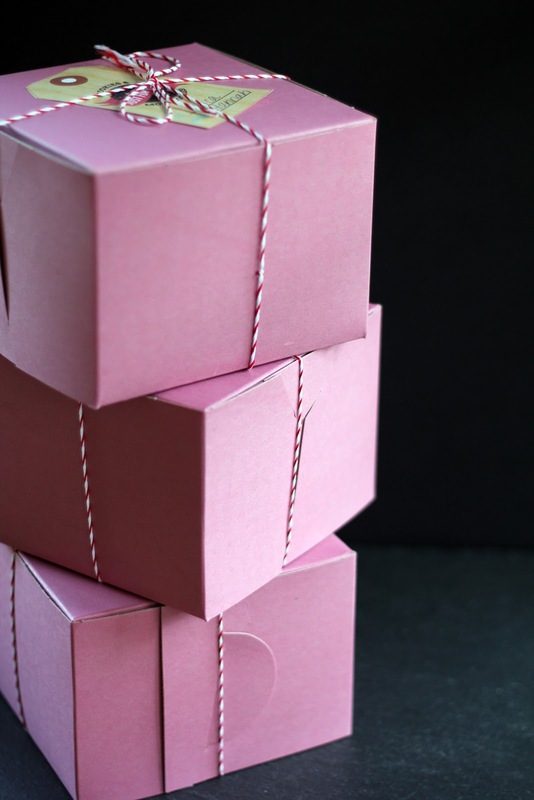 Someone is going to be very lucky next year to receive your baked goods. Love all the cookies you're sharing this month! The cookies have a nice bite to them, but the molasses/ginger flavors still dominate. I actually increased the amount of pepper from the original recipe because I like the kick so much. You can start out with 1/4 teaspoon instead and work up from there to your taste. I hope you enjoy them! It's the cookie season again! Can't decide which one to bake :) Love the sound of these spicy cookies. Thank you, Chinmayie! It is indeed cookie season - such a delicious time and so many scrumptious choices. Happy baking to you! My favorite cookie, just beautiful. I wondered how turbinado sugar would work to roll the cookie balls and you proved it works beautifully, Next batch I'm using that. Thank you so much, Suzanne! I really like the sugar crunch and look of the turbinado sugar. 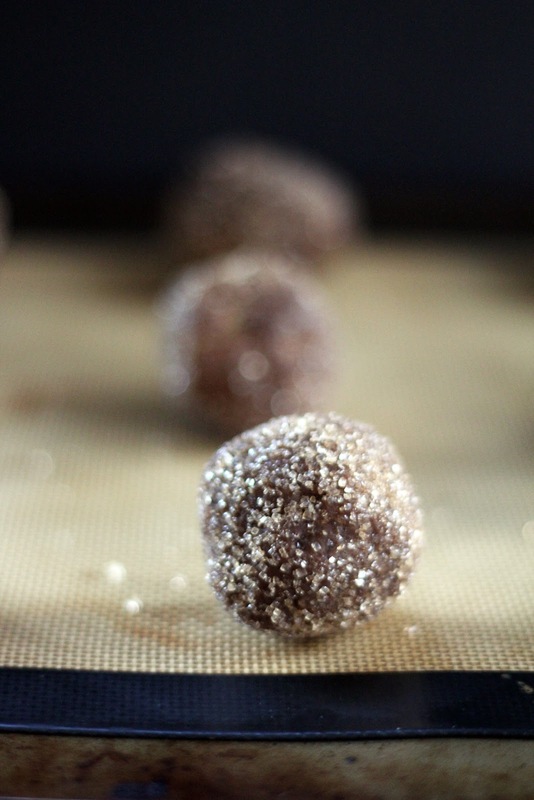 The original recipe calls for granulated sugar to roll in, which is also quite pretty in a sort of shimmery way, and is softer in texture. Have a lovely weekend! I tested these cookies for the cookie swap as well. I loved them, but decided to try something different. Hopefully I'll be able to make them again before Christmas. Hi Shianne - I look forward to checking out what you baked for the cookie swap! And yes, hopefully more molasses cookies are in your cookie jar before Christmas. I'm happy you stopped by! These look tremendous! Will have to give them a try. Thank you! This was a fun swap. Love the cookies you shared! These are my absolute favorite cookies as well. Excited to try this recipe. Happy Holidays!! Yay, another molasses lover! I hope you enjoy the cookies, Erina. Merry Christmas to you! 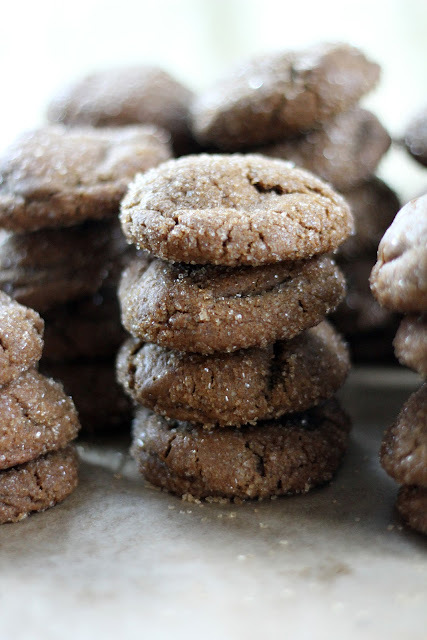 Yesss, I love molasses cookies! These look amazing. They make me crave one right now! What a great swap. Thank you, Beth! This was a really fun cookie swap and so great to meet others in this way. We're still enjoying some delicious treats! 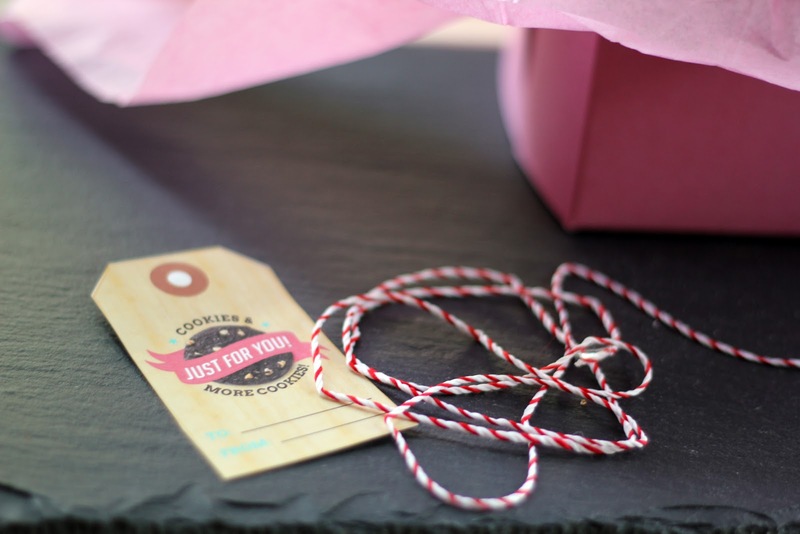 Beautiful package and your cookies look so delicious! I have molasses in my pantry but often I don't know what to do with it (not a common ingredient for Japanese cooking). Cookies sounds like an excellent use! Thank you, Nami! 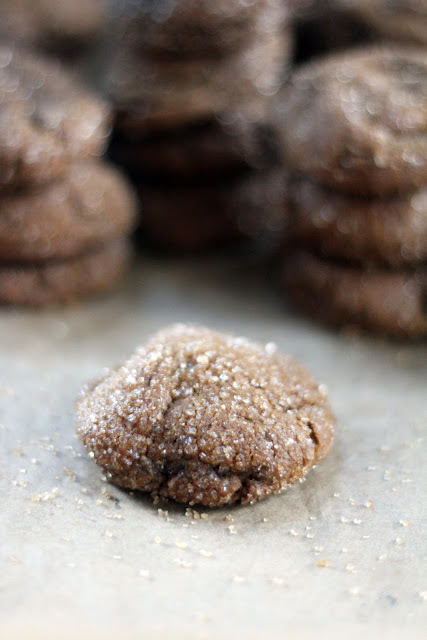 I can't think of anything better to do with molasses than to bake cookies. It's also wonderful stirred into oatmeal. I hope you're enjoying the holiday season! What a fun idea - I signed up to be notified for next year's! Looks like a great recipe full of spicy sweet flavors. Yum. Beautiful cookies, perfect for the festive season....though delicious any time! Cannot believe we are well in to 2013! Happy New Year Hannah, hope it is fun, food & laughter filled! Thank you so much, Mairi! I hope your new year is off to a delicious beginning. I agree...it already feels like 2013 has been here for awhile! Hi Elle! Thank you for your kind comment. I found the striped string at Target, but you may be able to find it online, too. The labels were created by the lovely bloggers who hosted this cookie exchange, so I just downloaded them to print. I have found cute labels in cooking stores, though, that work well on jars as gifts (and to label pantry items). Homemade gifts are just the best! Blue kale is a less common name for Lacinato kale (also called Tuscan, cavolo nero, black or dino). Totally delicious if you haven't already tried it!